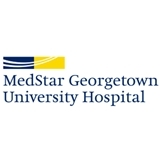 MedStar Georgetown University Hospital Orthopedics (Washington) - Book Appointment Online! Dr. Kessler had the best bedside manner. I had to bring my 4-month old with me and he was wonderful with him, even carrying the car seat room-to-room to spare me wrist pain, the reason for my visit. He even brought another patient in to see me who had had the same treatment he was recommending, so I got to hear someone else's experience. Treatment was done right there and then braces were fitted immediately. So the appointment was very much worth the wait time. Excellent physician: highly competent, thoughtful, practical, takes the time to explain and the diagnosis and the proposed treatment. The best.